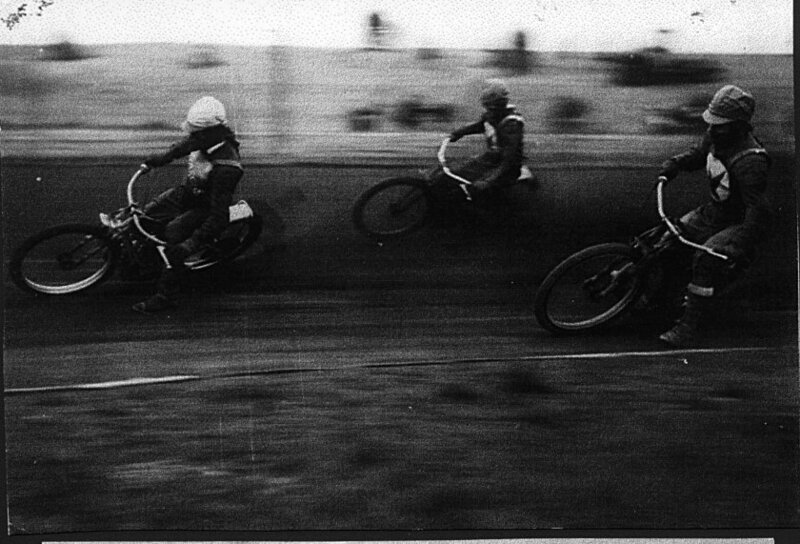 Scottish Speedway was on the slide after the boom post-war years by the time this photo was taken. Motherwell were probably the soundest of the Scottish promotions but the advent of television plus the crippling entertainment tax had the sport in trouble all over the country. There were still good riders around though and South African Roy Bester was a fine performer in his time with Monarchs. In this photo from Motherwell in 1953 he leads the way from Bluey Scott and Derek Close - two Eagles who happily are still with us!